A cinematic river runs through Waterloo for the fourth consecutive year with the return of the International Fly Fishing Festival. Founded in 2011, the festival — popularly known as IF4 — grew from a handful of screenings in western Canada to more than 100 screenings across the country and the U.S., as well as internationally. ‘We’re truly international,’ confirmed Jennifer Bird, publisher of Fly Fusion, Canada’s premium fly angling magazine which presents the annual film festival. I talked to Bird from her office in Cranbrook, B.C., in 2015. The festival’s local popularly became evident in 2014, the second year Princess Cinemas hosted the event. So many tickets were sold to fly anglers from across southwestern Ontario that an impromptu hold-over screening was held at the Original Princess. In response to the festival’s success, cinema co-owner John Tutt moved last year’s screening to the double theatres in the Princess Twin, where it returns April 28 at 7:30 pm. The cinematic celebration of fly fishing complements a couple of other popular water-based events presented by the Waterloo cinema every spring including the Reel Paddling Festival and KW Canoe Symposium. The film festival’s success locally is not difficult to explain. The Grand River, a designed Canadian Heritage River, maintains an exceptional brown trout fishery in its tailwaters in the Fergus/Elora area, as well as an excellent smallmouth bass fishery between Cambridge and Brantford, not to mention a thriving steelhead fishery at its mouth on the north shore of Lake Erie. The Conestogo River sustains an emerging brown trout fishery. The immediate area has a variety of fishing and fly shops and professional guide services, conservation organizations (Friends of the Grand River and Trout Unlimited in addition to Grand River Conservation Authority), not to mention KW Flyfishers. Founded in the 1970s, the club has close to 50 members, from neophytes to professional guides and commercial fly tiers. The club meets once a month from September through June, with monthly fly tying and members’ angling outings. New members are welcome. Check out the club’s website for details. 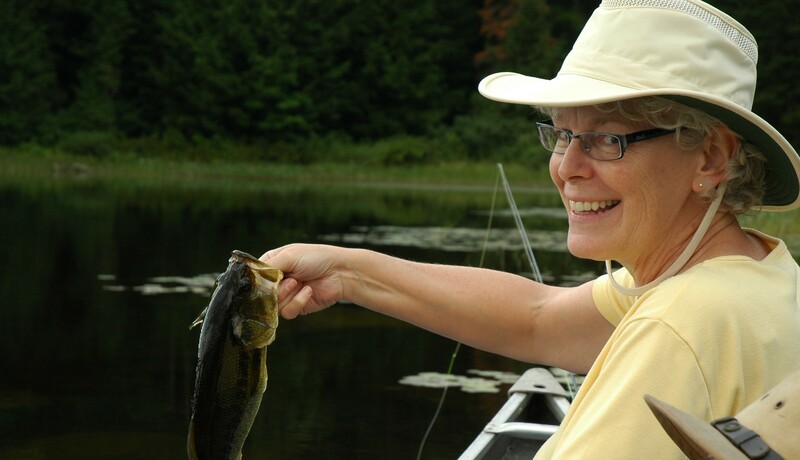 Moreover, there are excellent fly fishing opportunities beyond Waterloo Region, including the Credit, Thames, Saugeen, Maitland and Big Head watersheds, offering a variety of sportfishing species including trout, bass, steelhead and pike, among others. There are also fly fishing clubs in Hamilton and London. 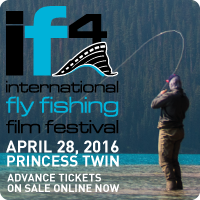 IF4 showcases a selection of feature short- and medium-length films devoted to ‘the passion, lifestyle and culture of fly fishing,’ produced by filmmakers from around the world. 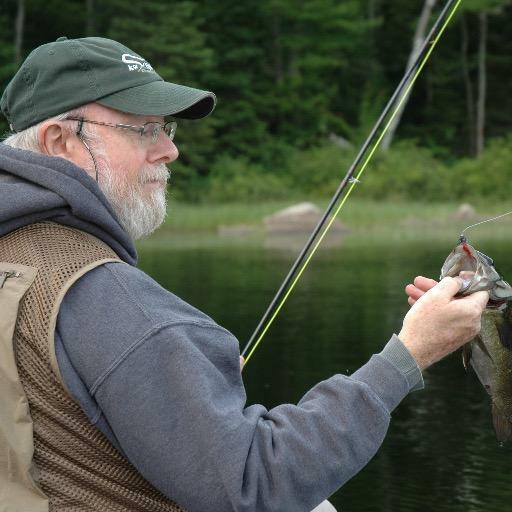 ‘The festival is more about the experience of fly fishing than catching fish,’ Bird contended. ‘It examines why people fly fish rather than how, when or where through storytelling and narrative.’ This doesn’t mean there aren’t lots of trophy fish landed in gorgeous locales spanning the globe. Bird was accurate when she stressed that IF4 separates itself from run-of-the-mill celebrity fishing shows on television, which she accurately characterized as ’same old, same old.’ However, this doesn’t mean the festival is innocent of sharing one element in common with televised angling shows; unapologetic, in-your-face endorsements, whether luxury lodges and exotic fishing destinations or brand-name gear — all with big price tags. When the festival began six years ago, Bird noted, it was a challenge finding quality filmmakers. The festival’s expanding audience base, higher profile and growing reputation have attracted increasing numbers of accomplished cinematographers. ‘The festival has become an intense artistic competition,’ she asserted. From what I have viewed over the past four years, the films have improved in narrative scope and quality. My greatest criticism of the films selected for the festival is the disproportionate concentration on ‘gonzo’ twentysomething anglers who approach the sport/pastime/recreation differently for more mature anglers who enjoy fly fishing’s quieter, more contemplative aspects. Admittedly this assessment is from an angler about to collect old age security. Hard, fast and full of energy, the film follows three fly anglers as they set off from Sydney and trek north to conquer the east coast of Australia, with their sights set on tropical north Queensland. En route it unveils some of Australia’s most exotic destinations and monster species. The film presents the epic adventure of a cross-Canada fly fishing trip. From bush planes and remote camps in Northern Quebec, to the original Hooké van-and-tent combo on Atlantic rivers, and the RV cruise saga in British Columbia, the crew visits some incredible rivers. Montauk is the epicenter of fly fishing in the northeast, where run-and-gun rules. Stripers, albies and blues churning the Atlantic as they blitz. It’s not for the faint of heart; the action spawns an addiction that lasts a lifetime. Some fly fishing trips to pristine rivers can transport anglers to a place of serenity. This film doesn’t highlight one of those trips. April Vokey and Marc Crapo are as different as trout and carp, but circumstances force them to meet at a remote lodge in Northern British Columbia. The outcome is as disastrous as any trip could be. Witness the relentless pursuit of giant muskie on Ontario’s legendary muskie lakes with Michael McNaught, Jay Newell, Kim Rood and KW Flyfishers member Chris Pfohl. Never before has there been so many trophy muskie taken on the fly captured on video. 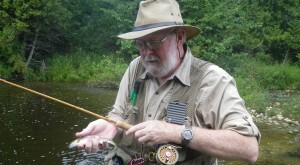 Fly Fishing has the unique ability to connect anglers and facilitate the sharing of knowledge among people from all walks of life. Follow four individuals with varied fishing backgrounds as they come together for the first time to fish Montana’s Bighorn River and learn from one and another. In search for what is pound-for-pound the hardest pulling fish in the ocean, yellow tuna, Mark Martin and Alex Beck set out on an adventure in Mark’s home waters off the coast of San Diego. Join them in their adventure of reel-screaming, rod-bending, heart-pounding action. Char (fish species of the Salvelinus genus) represent some of the most beautiful fish species on the planet. Follow an angling adventure in pursuit of brook trout, Arctic char and the rare and beautiful Dolly Varden. Travel to some of the most breathtaking landscapes of British Columbia, Alaska and the Arctic Circle. Gold Fever is when you get the taste of gold and cannot stop to get more. Jobs, relationships and obligations are disregarded. The only thing you can think about is another nugget. In this case those nuggets are huge wild brown trout from the mother lode in the Sierra foothills of California. People say fly fishing has changed. Some even say the Internet is ruining the sport. The way we see it. . . it’s as good as ever. Info, film trailers and ticket purchases available at Princess Cinemas website. Area fly anglers will not want to miss Grand Opportunities — an annual event sponsored by Friends of the Grand River devoted to fly fishing including on-the-water demonstrations and used equipment sale — on Saturday June 4 at Belwood Lake Conservation Area, starting at 10 am. Admission included with a conservation day pass.